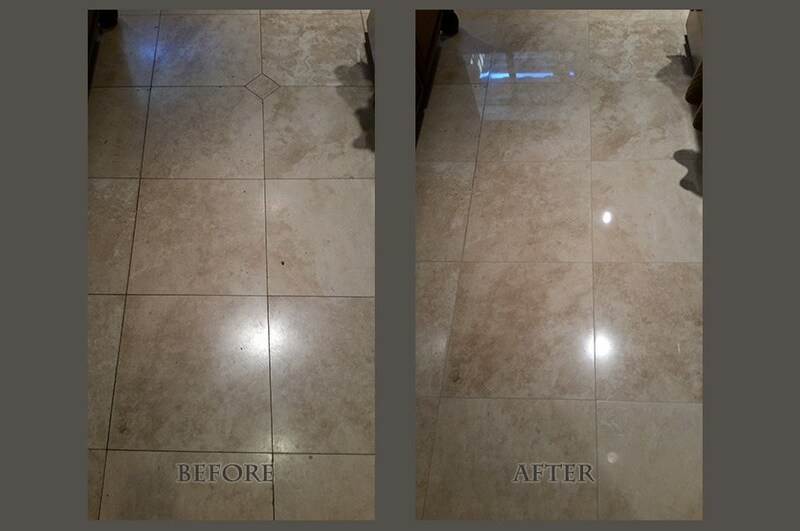 A homeowner in the Scripps Ranch community contacted us to restore and add a little shine to his travertine floor. It had a honed finish that, at some point in the past, looked great, but the floor had since become very dull looking, as is evidenced in the BEFORE image. This floor was not stained, scratched, etched, chipped, or otherwise damaged, so our restoration process was rather simple. Lightly polishing travertine that has a honed finish adjusts the level of sheen. This is all the floor really needed, and we were able to achieve the look our customer wanted. 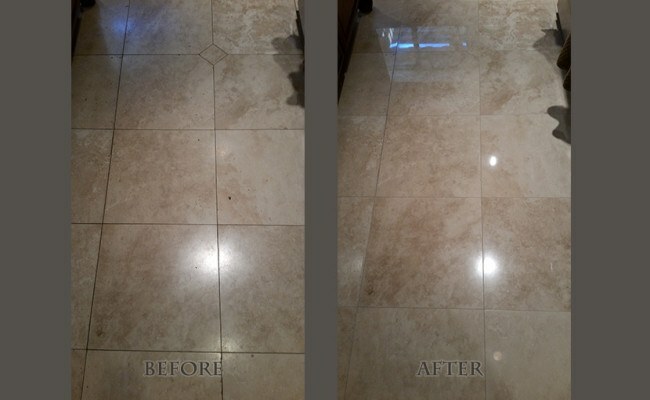 You can see in the AFTER image what a big difference a light polishing can make on the level of sheen honed travertine has. If you live in the San Diego area and you are looking for professional travertine services, contact us online or call 619-246-0240 to discuss your travertine needs.